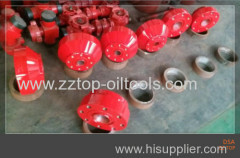 We are one of China oilfield equipment, drill stem testing tools, downhole tools manufactures, supplying oilfield equipment, drill stem testing tools, downhole tools to your requirements. 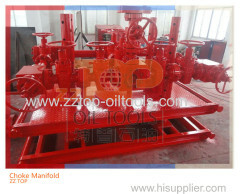 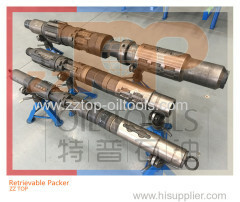 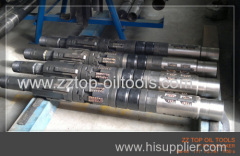 You can quickly find the oilfield equipment, drill stem testing tools, downhole tools through the list. 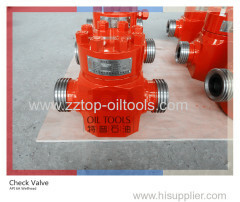 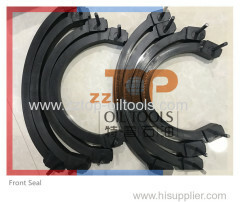 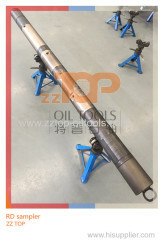 Mult - cycle circulating valve is a sort of circulating valve used in high pressure drill stem testing operation, the tool size includes 3 7/8" & 5"
The CHAMP Packer is applied for high pressure downhole testing operation, the size of CHAMP Packer includes 5" packer, 7" packer, 9 5/8" packer. 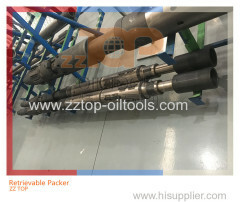 DST Tools 9 5 / 8" Full Bore Mechanical Set Retrievable Packer RTTS Packer - 9 5/8"
The Mechanical Setting Retrievable Packers with double grip is the RTTS packer in Halliburton, the RTTS packer is the Drill stem testing APR Tools. 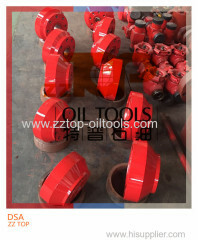 The safety joint is a kind of full bore APR tools, applied for the well testing, the RTTS afety joint is the emergency backoff device for DST service. 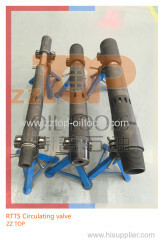 The casing tong is a kind of hydraulic power tong applied for the oilfiled drilling operation. 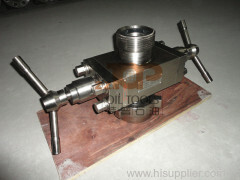 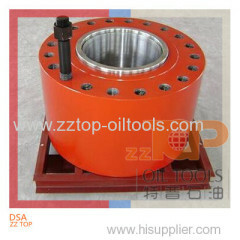 The casing power tong is manufactured as per API Spec. 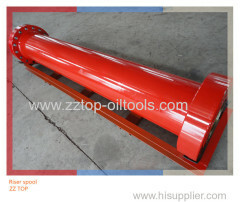 The hydraulic power tong is sort of the handling tools, applied for oilfield drilling operation. 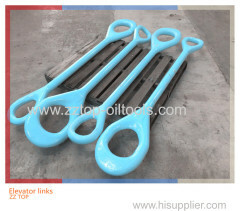 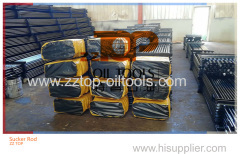 Oilfield power tongs are used for casing,drill pipe. 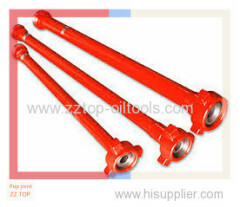 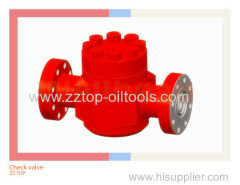 The Power Tong ZQ203 is designed and manufactured according to API spec. 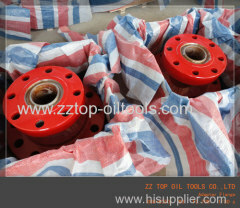 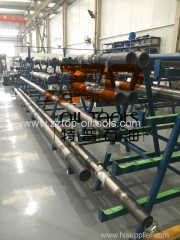 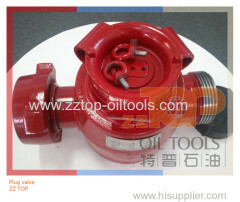 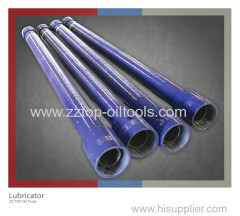 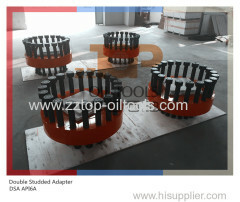 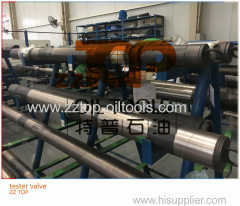 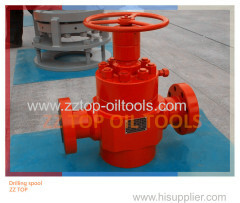 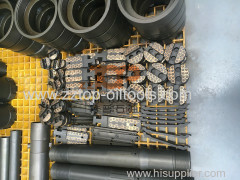 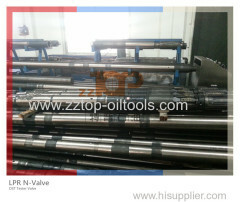 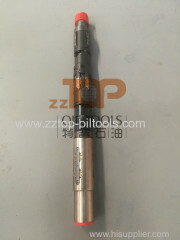 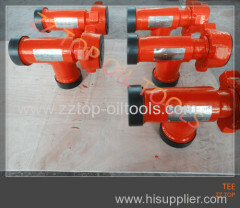 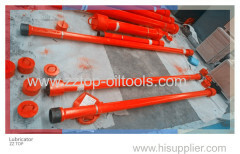 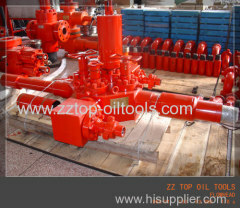 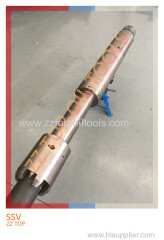 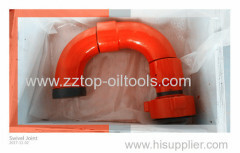 ZQ 203 power tong is used to handle the drill pipe in drilling operation. 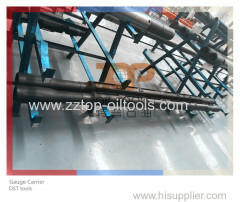 The CDZ Elevator is a sort of oilfield handling tools, which is conformed with API 8A /8C specification, the CDZ elevator is used to hold drill pipe . 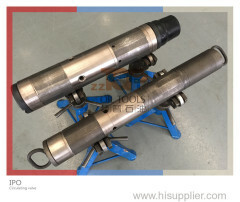 Slim Hole DST Tools LPR - N Tester Valve 3 7/8" x 10000 psi LPR N Valve - 3 7/8"
Well Downhole Testing Full Bore Retrievable Packer Parts 7" - 29 lb/ft Packer - 7"
The Internal Pressure operated circulating valve is short of IPO circulating valve, used for the oil well drill stem testing operation in cased hole. 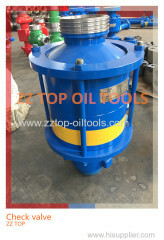 Single Manual Wireline BOP 3 1 / 8" x 10000 psi BOP - 3 1/8"
The Integral Lubricator is made of Alloy Steel, the lubricators are the tools used for wireline testing service, as the part of the wireline wellhead. 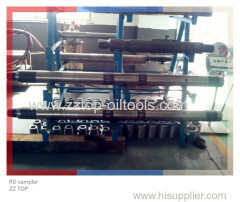 Wireline Integral Lubricator 3" for WPCE Lubricator - 3"
The Drill stem testing surface test tree is well test flowhead conformed with API spec. 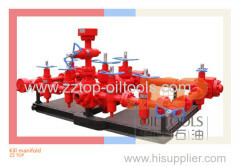 The Flowhead is the primary device for controlling the well. 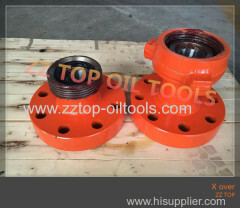 BOP Safety Valve for Drill Stem Testing Operation BOP Safety Valve- 8"
DST RD Sampler 5" x 15000psi DST Smapler - 5"
Drill stem testing Rupture Disk Sampler 5" x 15000psi RD Sampler - 5"
The 5" x 15000psi Rupture Disk Samplers are applied for Drill stem testing operation in well testing service, conformed with NACE MR 0175 standard.